One of the most popular stories on this blog is a a piece I put together on coffee pods for the Keurig brewer. The thing is though, we got out the K-Cup game a long time ago. The realization that we were driving scalding hot water through a stupid plastic cup, coupled with the fact that the coffee was pretty terrible, finally sank in. We switched gears to a $15 Black & Decker drip coffee maker for quite a while. It was a big improvement in the taste department, but ultimately the unit failed, and we knew we could do better, and that was all the impetus necessary. I did a lot of reading about coffee makers and grinders; in fact I had bought a cheap grinder and used that in tandem with our cheapo coffee maker, but was ambivalent about the performance. I had read enough to know that the grind needed to be consistent, which I wasn’t getting out of my unit. In any event, the more immediate need was the coffee maker itself. We’ll get back to the grind in a moment. My friend Professor Nick recommended the Bunn HG Phase Brew. Technologically, this was an interesting model. Having read that water temperature is of critical importance to the coffee making process, this was a winner. The Phase Brew heats all of the water up front, and at the conclusion of the heating process it drips through the coffee. Most drip coffee makers start pushing water through the coffee immediately, which although faster is the wrong way to do it. We were pretty satisfied with the Bunn. We knew it was the right direction. Very pleasing aesthetics, and very good usability. But the machine has one weakness, and that weakness is an abysmal carafe. More often than not, the thing makes a complete mess. It dribbles coffee all over the place when pouring, and drives you mental. I casually sought a replacement, and wish I hadn’t waited. 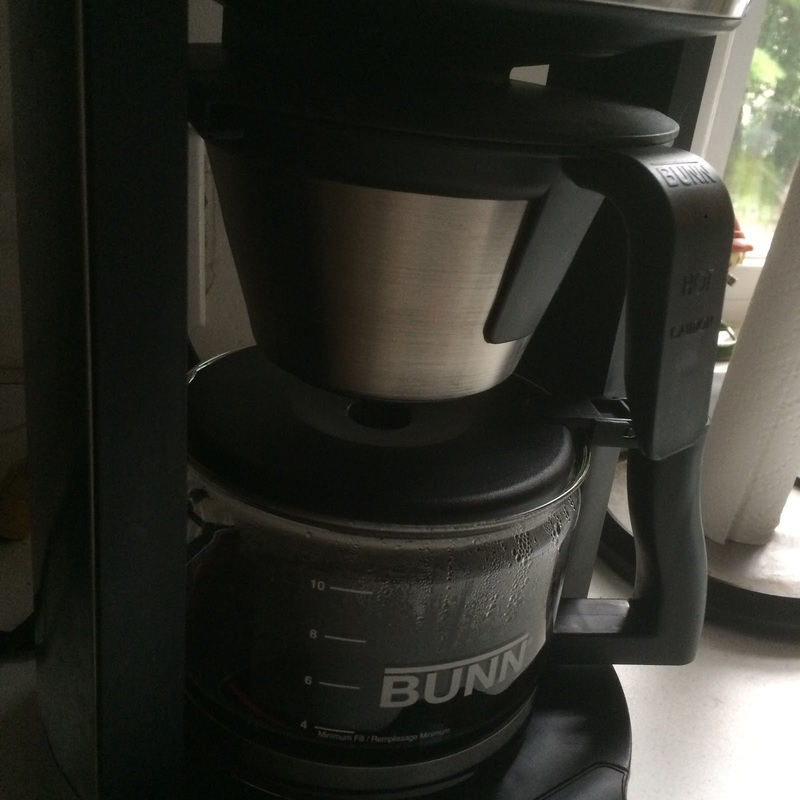 This replacement carafe, intended for a different Bunn model, works FLAWLESSLY. Buy the HG, and then buy this carafe. Your frustrations will cease immediately. Your life will improve in a measurable way. Note that the carafe is actually 10-cup capacity, and the HG is an 8-cup unit. If you have one active brain cell, you realize you won’t be filling the carafe with all 10 cups of water and successfully transferring the entire payload to the HG. You’ll figure it out. This replacement NCD carafe is a perfect fit in the HG brewer. Second to this triumph was harnessing the grind. I wasn’t keen on buying an expensive coffee grinder. So one day on a whim, I decided to use the commercial coffee grinder at the grocery store. Why the hell not. I dumped in a bag of beans, picked a grind that looked about right, and let ‘er rip. I can honestly say that bag of ground up beans made the best cup of coffee I’ve ever pushed through that machine. It almost defied description. Every sip of that coffee was intriguing, relaxing, pleasing. A wonderful, thrilling thing to have stumbled upon. If you are without a proper grinder at home, or are simply uninterested in getting involved, I cannot more strongly recommend going this route.